North Korea has said it will hold talks with the US “if the conditions were right”, South Korean media reports. A senior North Korean diplomat said dialogue with the Trump administration was possible following a meeting with ex-US government officials in Norway. Earlier this month US President Donald Trump said he would be “honoured” to meet Kim Jong-un. The comments follow months of rising tensions over North Korea’s ballistic missile and nuclear programme. Choe Son-hui, an official in the North Korean foreign ministry responsible for North American affairs, told reporters in Beijing that bilateral talks between Pyongyang and Washington would be considered. The BBC’s Korea correspondent Stephen Evans says North Korea would probably have to agree to at least discuss relinquishing or limiting its nuclear weapons for the US to participate. Ms Choe, who has been involved in nuclear negotiations in the past, made the comments during a stop-over on her return to Pyongyang following a meeting in Oslo. Mr Trump has previously said that he would like to solve the North Korea crisis diplomatically, but that a “major, major conflict” is possible. The country has engaged in several military shows of strength in recent weeks including missile tests. The US has responded by sending warships to the region to install a controversial anti-missile system in South Korea. North Korea’s intransigence has forced U.S. and UK to give conditions for peaceful resolution of the ongoing conflict over nuclear threats. The two countries gave the conditions at a high-level meeting on North Korea, attended by Ministers of Foreign Affairs of the 15-Member UN Security Council on Friday in New York. This was just as North Korea reportedly launched another missile test on Friday as a Security Council’s meeting chaired by the U.S. got underway at the UN. The high-level meeting was chaired by U.S. Secretary of State Rex Tillerson to end the country’s Presidency of the Council for the Month of April 2017. Tillerson said: “For the past 20 years, well-intentioned diplomatic efforts to halt these programmes have failed. “It is only by first dismantling them that there can be peace, stability, and economic prosperity for all of Northeast Asia. The threat of a North Korean nuclear attack on Seoul, or Tokyo was real, he said. “And it is likely only a matter of time before North Korea develops the capability to strike the U.S. mainland. 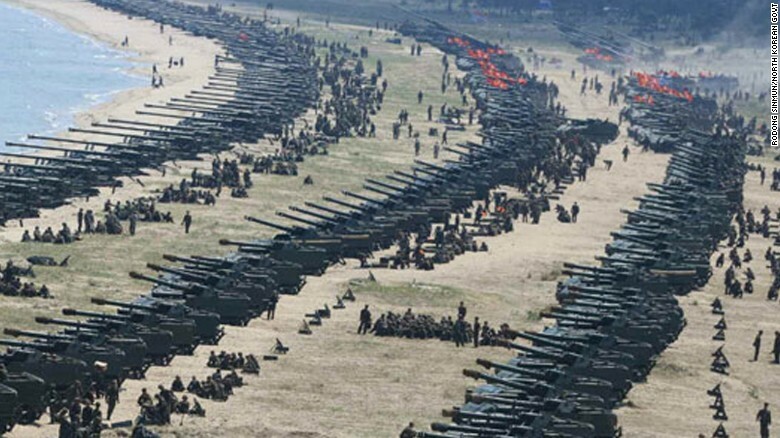 “Indeed, the DPRK has repeatedly claimed it plans to conduct such a strike. “Given that rhetoric, the United States cannot idly stand by. Nor can other members of this council who are within striking distance of North Korean missiles”. The U.S. envoy warned that there was no reason to think that North Korea would change its behaviour under the current multilateral sanctions framework. 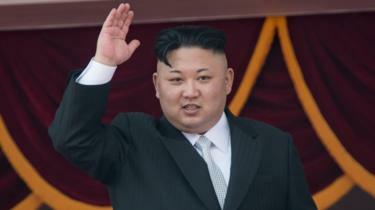 He said that international community has been reactive in addressing North Korea for too long. “Failing to act now on the most pressing security issue in the world may bring catastrophic consequences. “We have said this before and it bears repeating: the policy of strategic patience is over. Additional patience will only mean acceptance of a nuclear North Korea. “The more we bid our time, the sooner we will run out of it,” Tillerson warned. He said that diplomatic and financial levers of power would be backed up by a willingness to counteract North Korean aggression with military action if necessary. On its part, the UK, through Foreign Secretary Boris Johnson, called for a change of approach by the Security Council, towards North Korea. “This Council must be united in its demand that the present course cannot continue and Britain is proud today to have joined its allies to lead the enforcement of sanctions and seek a peaceful solution. The UK called on Russia and China and other Member States to use whatever influence they possess to restrain North Korea and guide its leaders towards a peaceful settlement. “Britain stands alongside our allies in making clear that North Korea must obey the UN and halt its nuclear weapons and ballistic missile programmes, disarming in a complete, verifiable and irreversible manner. As U.S and UK threats thicken, UN Secretary-General Antonio Guterres has warned against miscalculation in the ongoing efforts to deal with North Korea’s nuclear threats. Guterres told the Security Council session on DPRK (North Korea), chaired by U.S. Secretary of State Rex Tillerson, that a miscalculation could destabilize the northeast Asia region. “I am alarmed by the risk of a military escalation in the region, including by miscalculation or misunderstanding. “I am particularly concerned by the possibility that efforts to offset the destabilizing activities of the DPRK could also result in increased arms competition and tensions. He said the onus was on the North Korea to comply with its international obligations but the international community must also step up its efforts to manage and reduce tensions. “The absence of communication channels with the DPRK is dangerous. Armed conflict in Northeast Asia, which is home to one fifth of the world’s people and gross domestic product, would have global ramifications. “We need to avoid miscalculation and misunderstanding. We need to act now to prevent conflict and achieve sustainable peace,” Guterres said. The UN chief, however, warned North Korea to refrain from further testing, by complying with the relevant Security Council resolutions, and exploring the resumption of dialogue. “This means reopening and strengthening communication channels, particularly military to military, to lower the risk of miscalculation or misunderstanding. “Preventing armed conflict in north-east Asia is the international community’s collective priority while the onus is also on the Democratic People’s Republic of Korea (DPRK) to refrain from further nuclear testing and explore the path of dialogue,” he said. 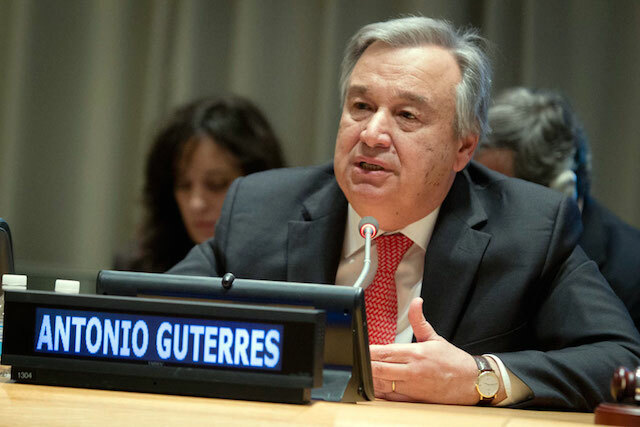 Guterres said since January 2016, the DPRK conducted two nuclear tests, more than 30 launches using ballistic missile technology, and various other activities relating to the nuclear and ballistic missile programmes. “The DPRK is the only country to have conducted nuclear tests this century. We must assume that, with each test or launch, the DPRK continues to make technological advances in its pursuit of a military nuclear capability,” he said. He cited DPRK leader Kim Jong-Un’s description of his country as a “responsible nuclear-weapon State” and a recent statement by a delegate that “going nuclear armed is the policy of our State”. Guterres said 13 UN agencies and international non-governmental organizations operating in the DPRK are calling for 114 million dollars to meet the urgent needs of 13 million especially vulnerable people. He called on DPRK to engage with UN human rights mechanisms and with the international community to address the grave human rights situation and improve the living conditions of its people.